Activities at the depot are increasing monthly. In late summer, Thursday nights at the depot became music driven. Anyone with an instrument was encouraged to show up at 6:00PM to play and sing. After the Arts and Crafts Show in September, more and more participants began to arrive. Toes tapped and voices rang out to stringed music. Thursdays were coordinated with the Greenback Diner which serves dinner each Thursday night. During the fall four birthdays and two weddings used the Depot as their venue. Then came exciting December. Another Arts and Crafts exhibit and sales took place on the 7 and 8 in conjunction with the City Christmas Parade. So many exhibitors requested a table that there was a waiting list of 20 exhibitors. This is so popular that Wendy Edmondson Tittsworth said another will be held in the spring of 2013. Present plans are now for four exhibits per year. A Christmas tree was set up on the area across from the depot. This spot, which also belongs to Edmondson, has been cleared and sewn in new grass. With a twinkle in his eye, Mayor Tom Peeler told me that he decorated the tree. For the first time in 20 years, Greenback held its tree lighting on Saturday evening downtown after the Christmas Parade on December 8. The tree was donated by Mr. and Mrs. Avery Rogers, shipped here from North Carolina. The bow on top was donated by Teresa Robinson and the lights by Peoples Bank. Rev. Ron Sabo, Pine Grove Presbyterian Church, gave the message. As the lights came on, Christmas carols joyfully rang out, led by song leader, Robin Kizer. Restoration of the depot continues and one can see changes almost every time you come to town. 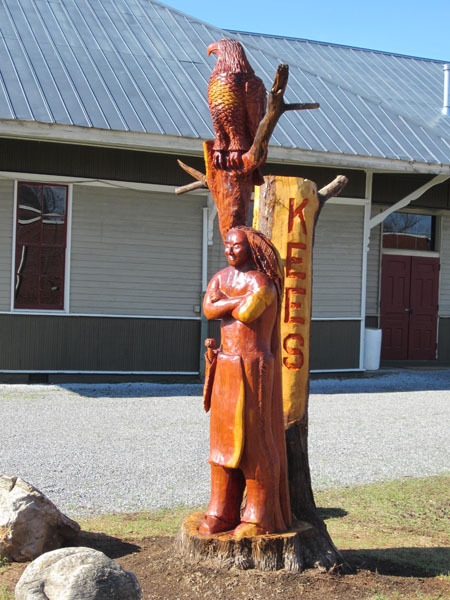 The new statute of Firekiller, the Cherokee, was added in the outdoor section of the Depot Property. Firekiller was a member of the Cherokee Tribe that settled near here, and according to the internet served as Chief for one year. The wooden statute was carved with a chain saw by prominent artist, Captain Dave LaVoie, who specializes in chain saw art, woodcarving, mantels and pottery in his shop in Townsend. The statute carved from cedar wood furnished by Mr. Edmondson, who shared the cost of carving with Seth O’Hara as a gift to the community. Our Greenback School Cherokees can be proud to see their namesake honored in the downtown area. A picture of the Cherokee leader is exhibited in the museum. Firekiller and his mother are buried near Etowah in the Cherokee Burial Grounds there. The following week, December 15, Niles Ferry Baptist Church held a fund raiser and Angel Tree for children in the area. New bathrooms and a dressing area have been added to the rear of the building making it possible to host additional events. Edmondson’s dream of not only restoring the building and its grounds but revitalizing the town seems to be coming true. He is on the property most days as he works tirelessly to achieve his dream. He is encouraging groups and individuals to take advantage of the building and he said that Greenback High School plans to host the Junior-Senior Prom in the building next June. He hopes that the property will be placed on the National Register of Historical Places soon. 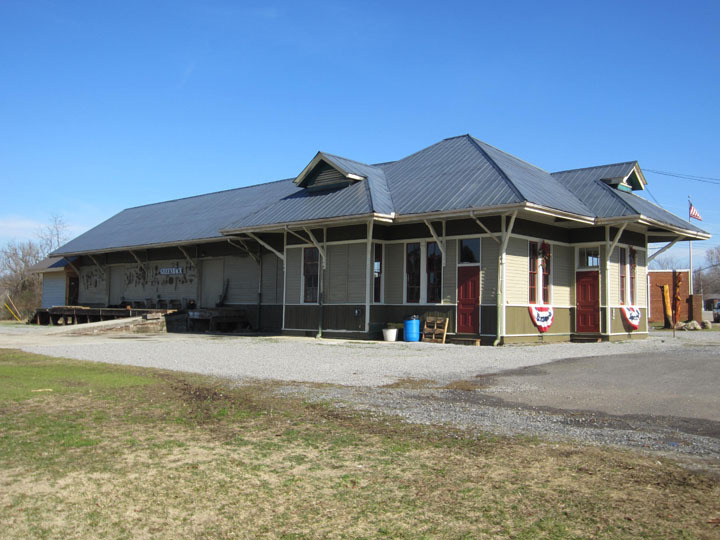 The Depot has been on the watch list of endangered historical places compiled by the East Tennessee Preservation Alliance, according to Ethiel Garlington, of Knox Heritage. 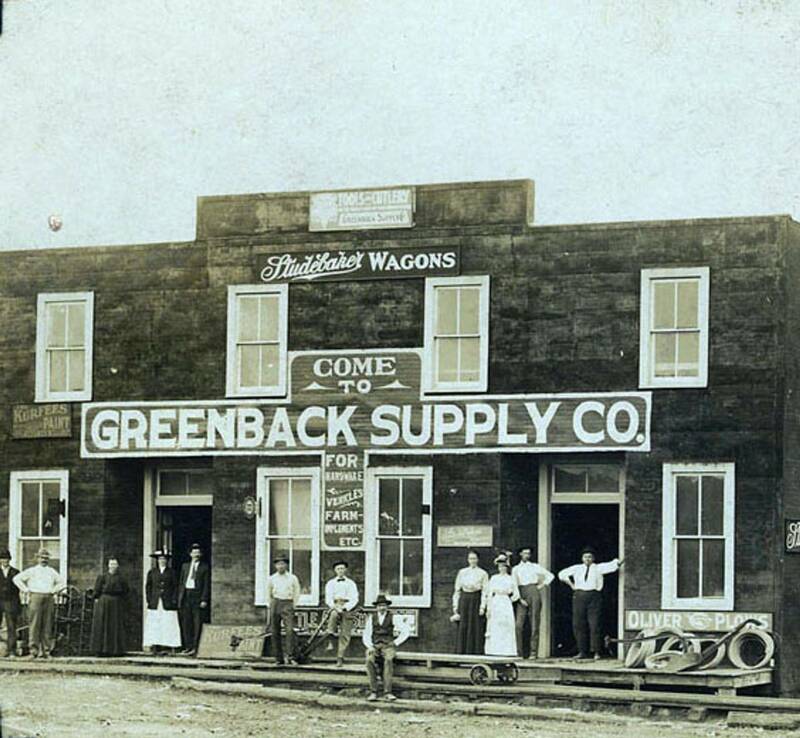 Greenback Historical Society, Inc., a 501 (c) 3 organization has opened a Preservation Account at Regions Bank in Greenback, Tennessee. Donations, which are tax deductible, will be used for the preservation of buildings, artifacts, and other items of historical significance. Donations may be made directly at Regions Bank or mailed to Greenback Historical Society. P.O. Box 165, Greenback, Tennessee, 37742.